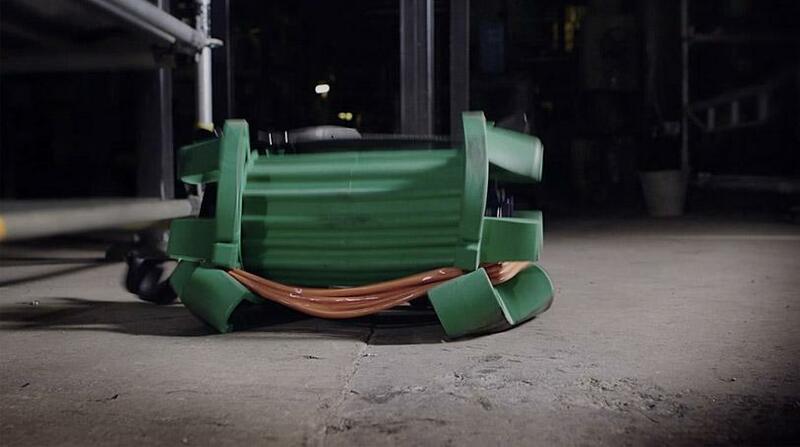 We put together the Atexor SLAM® STAR Tank Set for customers who maintain hazardous spaces such as tanks and vessels. Particularly good for large area paint jobs, this set makes temporary lighting simple, safe and secure. The entire set is ATEX certified, so you know everything you get is perfectly suited for Explosion Hazardous Areas. 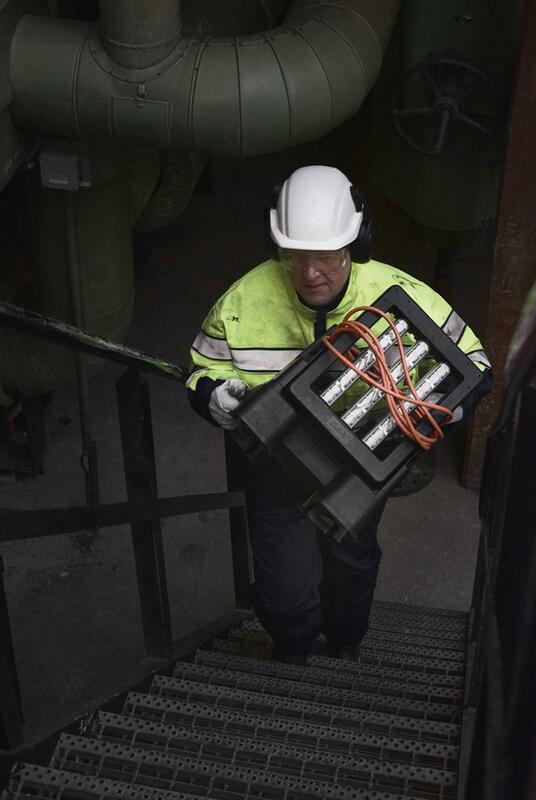 With just this one set, you have all the essentials you need to safely light up expansive Ex-hazardous areas: low-voltage luminaires, an Ex power supply, emergency backup lighting and a trusted Ex partner. The three portable ATEX floodlights easily illuminate large enclosures. 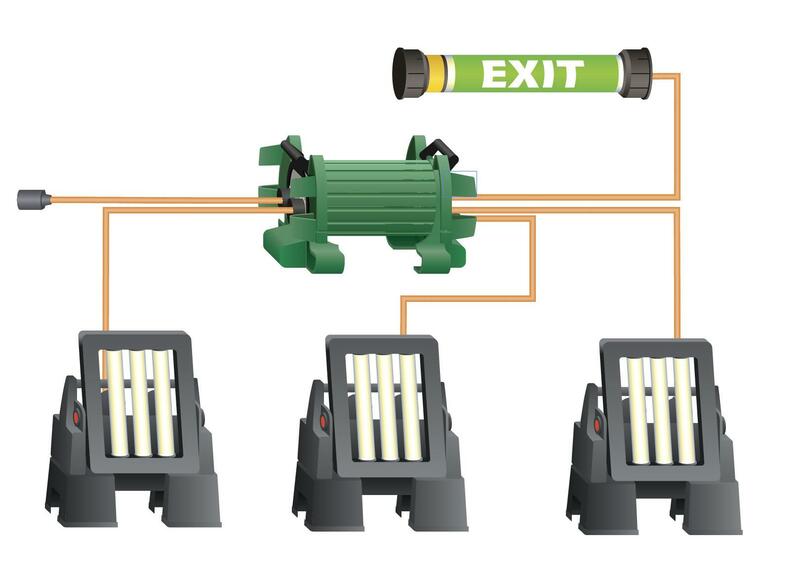 We included a portable EXIT luminaire with battery backup to support safe exiting in case of emergencies. 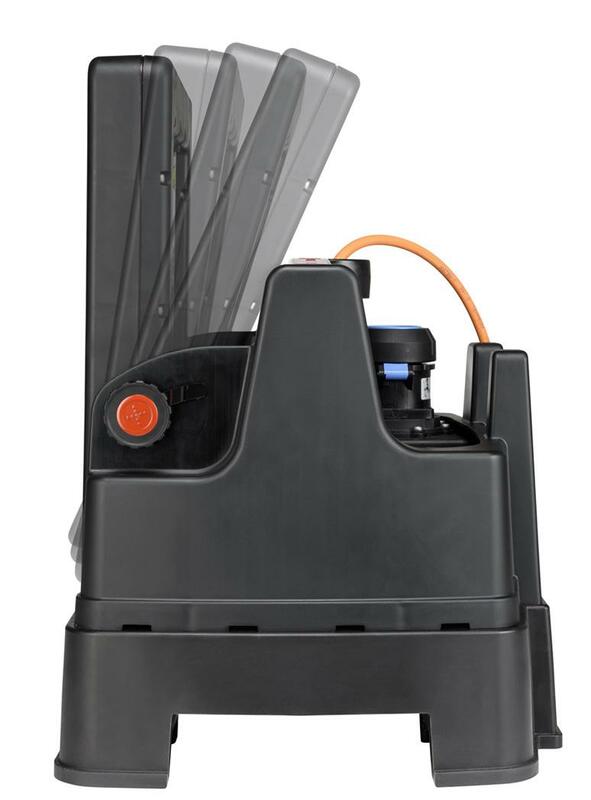 Our portable Atexor SLAM® Trans400 transformer safely delivers 24 V to the luminaires. And all luminaires use high-quality LEDs for long lasting, low energy light. 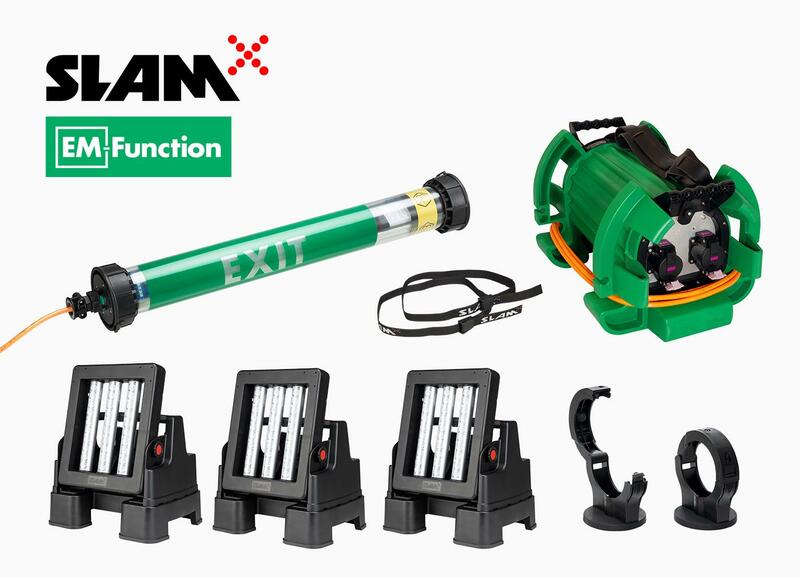 We have included Ex-certified Atexor SLAM® Click’n Fix magnetic brackets and straps for the EXIT luminaire. You can also order magnetic brackets for the floodlights.